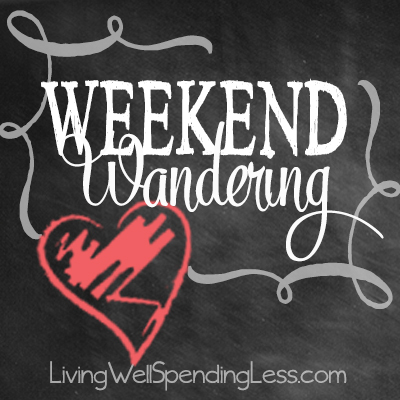 Welcome back to Weekend Wandering! I hope your New Year has started off well! I always love this time of year & I get so motivated to set new goals and try new things! My biggest goal for this year is BALANCE which for me will probably mean learning to say no more than I say yes, something that is incredibly hard for me! What is your biggest goal for 2015? I’d love to hear it! In other news, this past Tuesday we kicked off our Secret 13 Essay Contest with this powerful entry from Maggie at The Love Nerds. If you haven’t had a chance to read it yet, be sure to check it out–it is really good! There is still plenty of time to submit your own entry for a chance to win an all expenses paid cruise for four on the Carnival Sunshine, so be sure to check out all the details HERE! 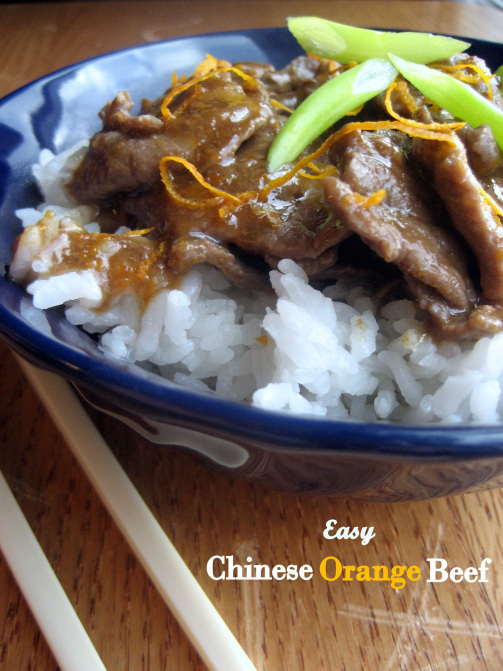 First of all, this Easy Chinese Orange Beef from Raspberries in the Rough sounds like the perfect alternative to takeout! 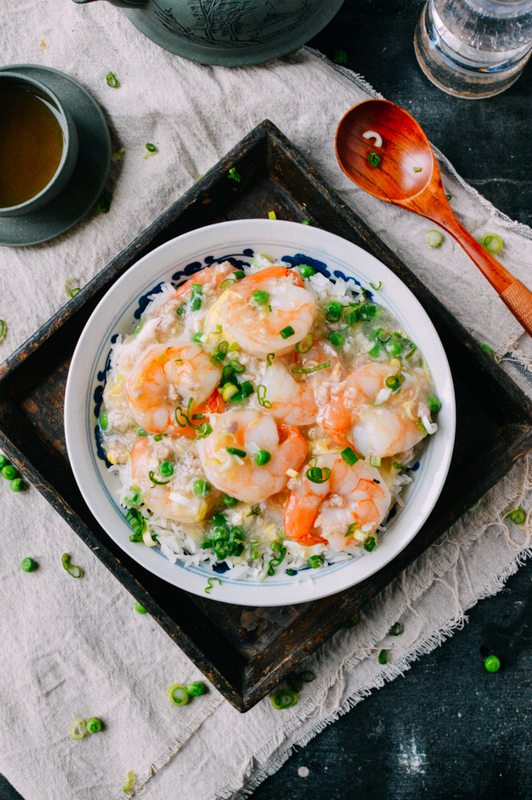 Of course this Shrimp with Lobster Sauce from The Woks of Life is totally calling my name! YUM!! One of my goals this year is to host more friends for dinner. 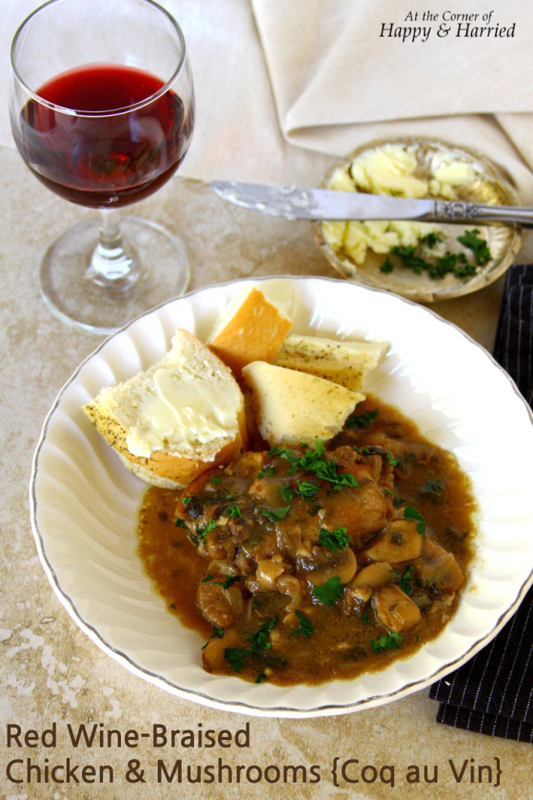 This Red Wine-Braised Chicken and Mushrooms from at The Corner of Happy and Harried would be sure to impress! 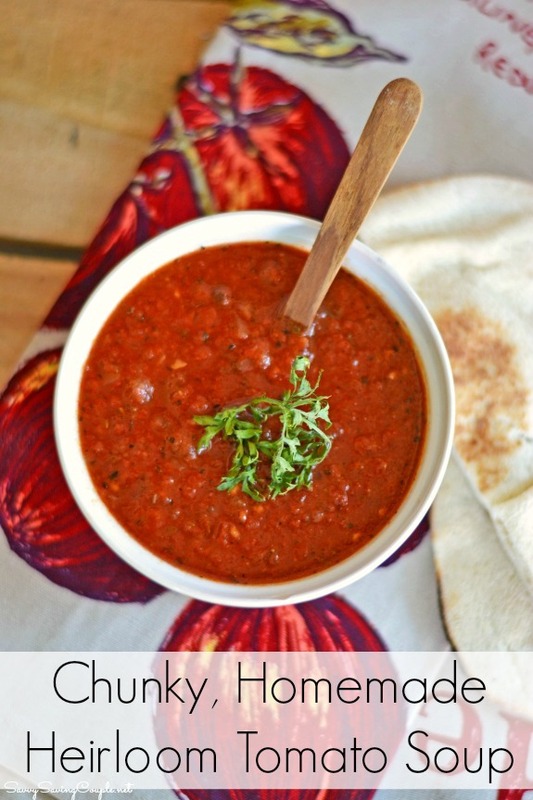 The Savvy Saving Couple shares their recipe for Chunky, Homemade Heirloom Tomato Soup–the prefect meal to warm you from the inside out! 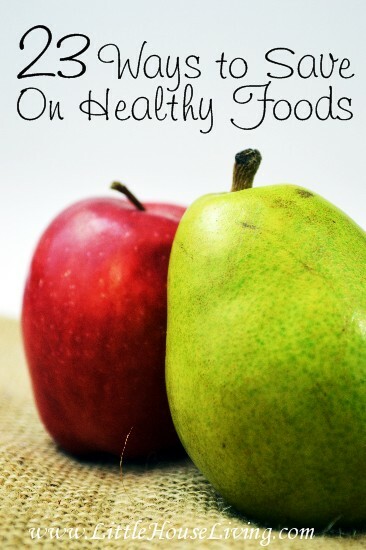 Moving onto some foods that can tame that sweet tooth. 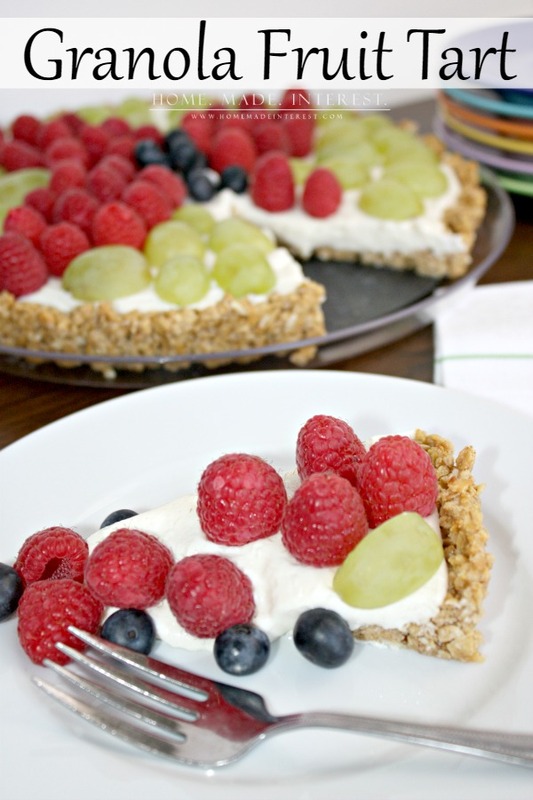 This Granola Fruit Tart from Home. Made. Interest. will surely satisfy your sweet craving without all the guilt! 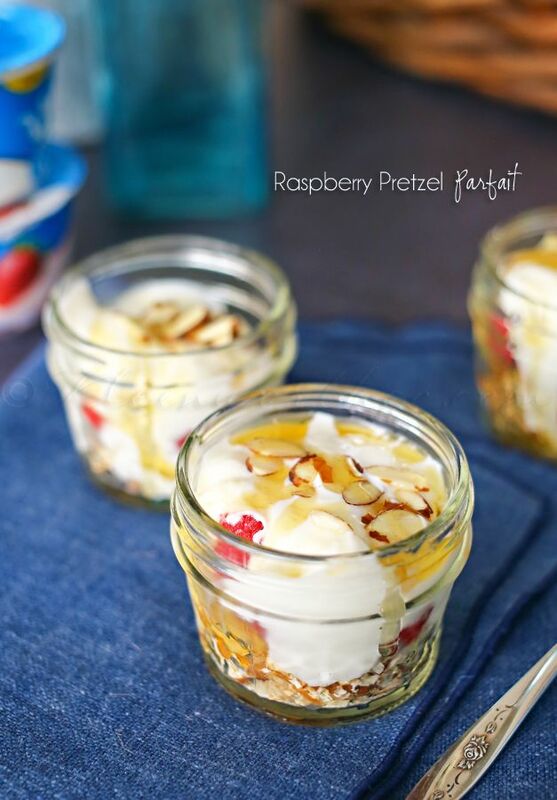 These Raspberry Pretzel Parfaits from Kleinworth & Co. could be enjoyed for breakfast, dessert or an after-school snack. These Chocolate Liqueur Cupcakes from With a Blast are infused with splash of chocolate liqueur. Yes please!! 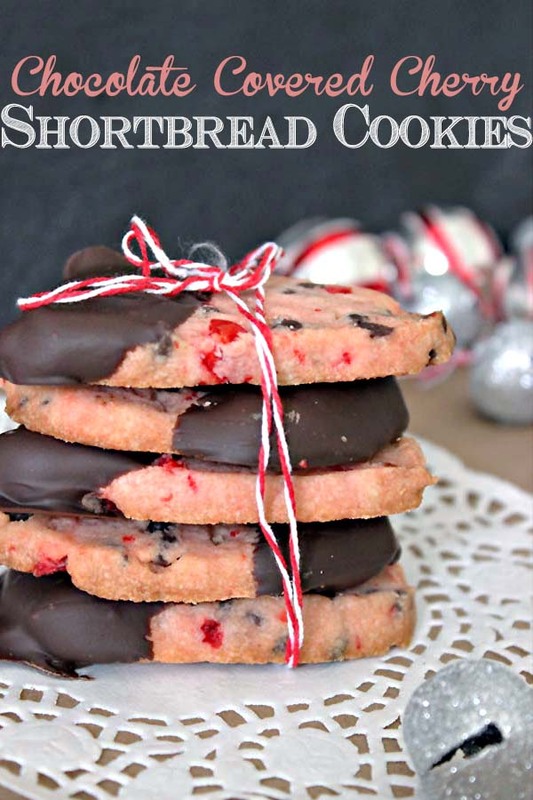 These Chocolate Covered Cherry Shortbread Cookies from Budget Girl look and sound absolutely amazing! 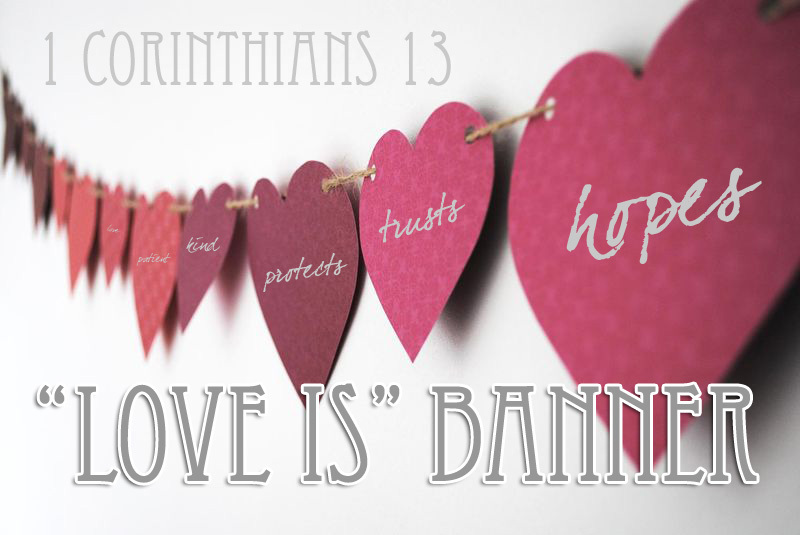 Moving on to DIY….This super cute 1 Corinthians 13 “Love is” Banner from Christianity Cove is the perfect way to decorate for Valentine’s Day, and could be done in an afternoon! 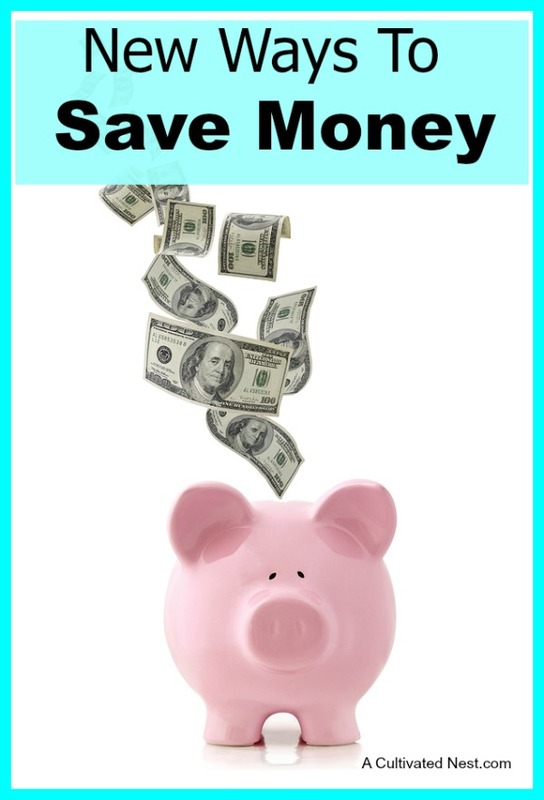 We loved these 23 Ways to Save on Healthy Foods from Little House Living. My husband would totally agree with tip #22! 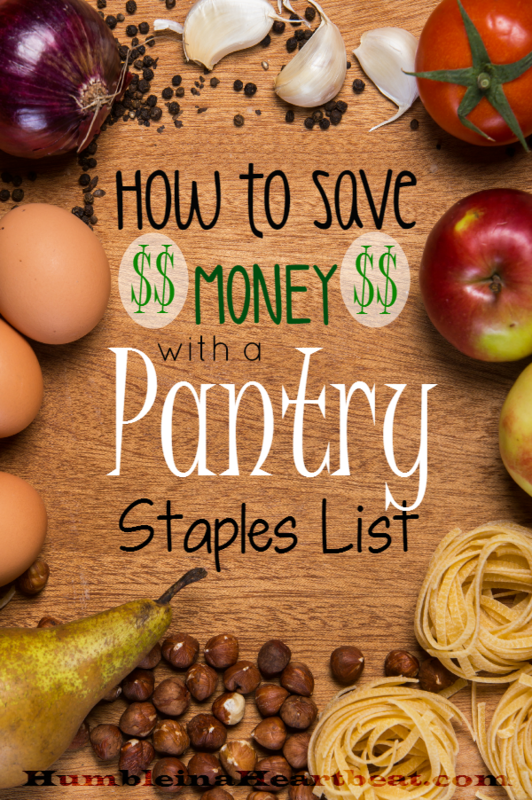 Did you know you can Save Money with a Pantry Staples List? 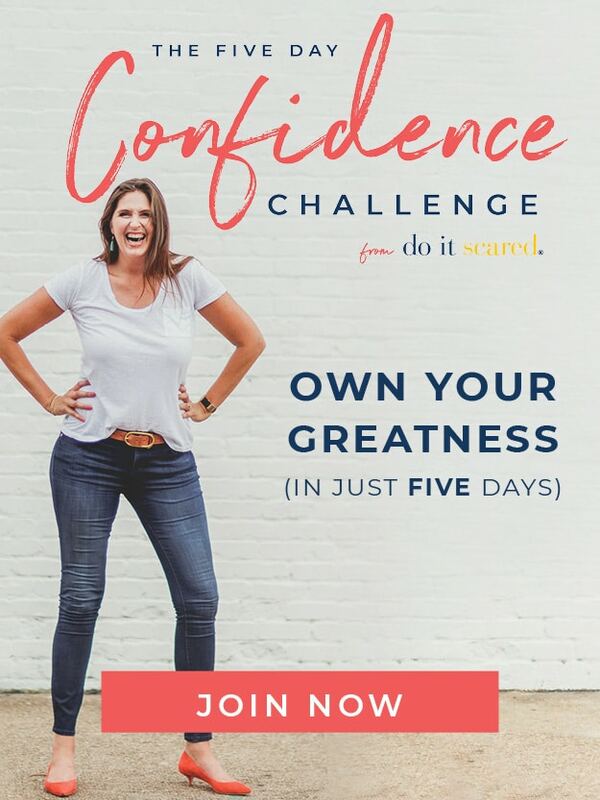 Humble in a Heartbeat has 3 easy tips plus a free printable to get you started! Happy Deal-Happy Day! 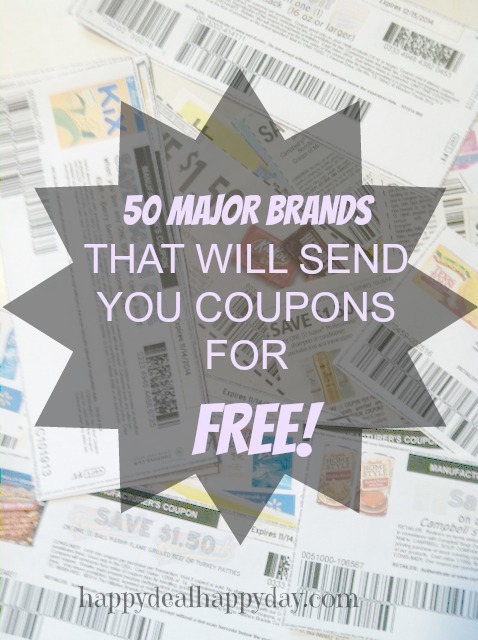 has a list of 50 Major Brands That will Send You Coupons for Free! What a great resource! 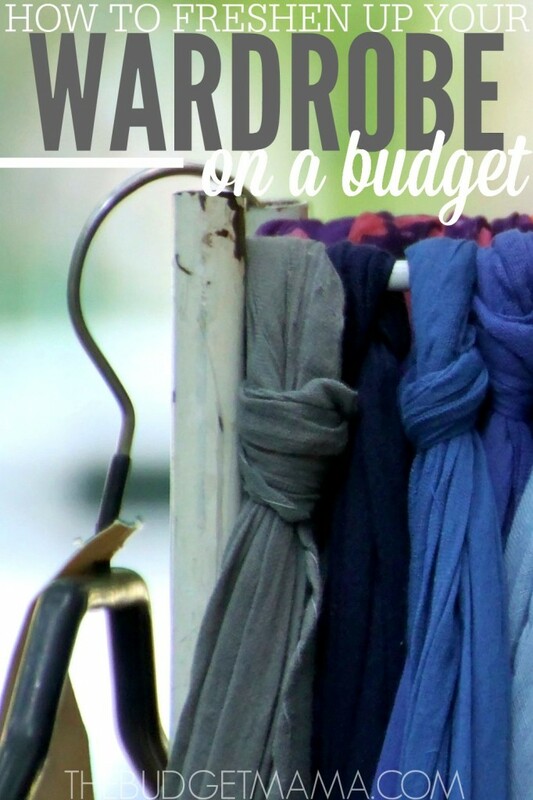 These 5 Tips to Freshen Up Your Wardrobe on a Budget from The Budget Mama are a great way to start off the new year! I hadn’t thought of tip #2 before. 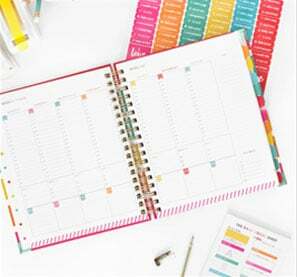 Finally, A Cultivated Nest lists 7 New Ways to Save Money in the New Year. These are great! 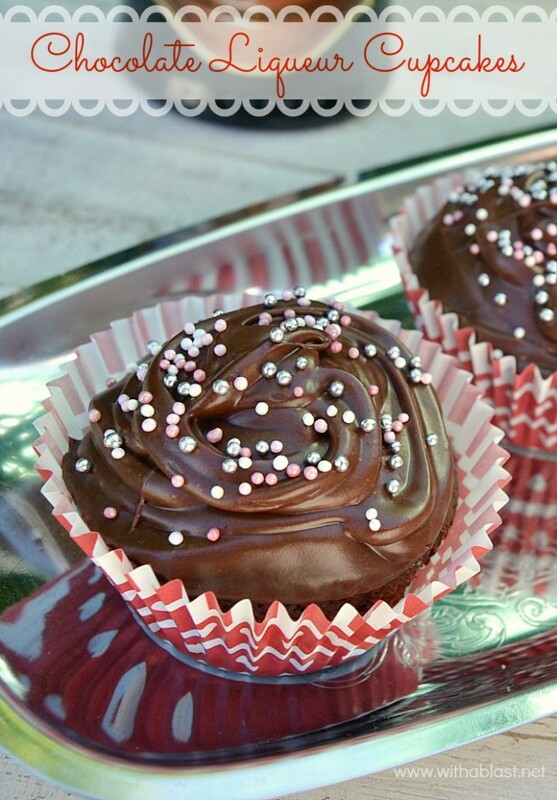 Thank you for including my Chocolate Liqueur Cupcakes in your Weekend Wandering, Ruth ! I’m so happy you liked my Wardrobe on a Budget post! 🙂 I hope y’all have a fantastic weekend! Oh so many great ideas Ruth! I’m inspired! Thank you for including my parfait- you made my weekend! Hope your’s is fabulous too! I really appreciate the feature, Ruth! What an honor to be included in your Weekend Wandering. Thanks for highlighting my Chinese Orange Beef Ruth! I always love seeing the posts shared in your party. Hope you enjoy the recipe if you try it!